Design thinking is a critcal but often overlooked piece of any new startup's puzzle -- and it can make or break an idea's evolution. Lifestyle Editor Tommy Allen looks at what the soon-to-debut AIGA of WM's Design Briefs has to offer the entrepreneurs of our region. If you are looking for examples of the impact you can have on the world, then you do not have to look very far. Our region's legacy is often something that we can attribute to the past if we focus our attention on the furniture that fills our airports and living rooms or, in the more recent past, by simply noticing the dark elixirs that we toss back as the awards pile up. Modern design and craft drinks, among other things, were both born here from small ideas that went on to change the region and world. It would be easy to say once in a while we get it right and just wait for it to happen here again. But what does it take for a region to move from a place where it happens occasionally to a place where it happens a lot? The trick is to be open to it and to show up. On Thursday, June 26 -- and then later this summer on Thursday, August 21 -- AIGA West Michigan's Design for Good team will roll out a new wave of programming that seeks to revolutionize the way we look at design and business and the way they operate together. When Design for Good formed locally, their initial projects were focused on creating solutions based on the needs of our area nonprofits. Design for Good would later brand this activity as a Weekend Blitz whereby the nonprofits would pitch their ideas to a team of design-focused community members who would get to work all weekend towards the solution. The latest round of programming focused on showcasing the power of design to impact good is Design Briefs – a new kind of event focused on entrepreneurs, who may have been kicking around an idea, but said idea's location is unfortunately stuck somewhere between that first spark of conception and the creation of a business plan from which most work begins. And while we all know a creative or a business type, the members of these two worlds rarely meet. But that is about to change. The Design Briefs committee has been sorting through the ideas submitted that range from technology-based apps to the physical creation of a new product. Three ideas have been selected to advance to the event. The three selected are Blue Marble Threads by Camille Metzger, Janay Brower & Jen Zimmerman - a fiber arts incubator that combines a design studio, retail store, and sewn product manufacturing; Custom Creativity Cube (C3) by Dave Veldkamp - oversized customizable dice for use in educational games and group activities; and GR Art by Veronica Kirin - an interactive calendar of events designed to pull together art-focused events with imbedded features for usability and customization. "When we are able to invite a design-focused professional to the process, we are not just adding another member to the team as an idea takes shape," says Chris Koen of AIGA WM's Design for Good Design Briefs, "but we are in many ways up-ending the way things have been done for so long." The event structure is pretty straightforward, with lots of opportunities for attendees to customize as the night progresses. For starters, after the cocktail reception (cash bar) and cheeses from the Cheese Lady, the audience will be seated in the GRAM's auditorium where the three ideas will be pitched to the panel, made up of Bill Holsinger-Robinson of TEDxGrand Rapids & The Understanding Group, Rick Harlow of Visual Hero, and Julia Jamieson & Laura Vaughn, founders of Sitting in a Tree. The panel will in turn immediately ask a round of questions of the presenters. Unlike 5X5 Night or StartGarden, Design Briefs awards no cash prize for the best idea of the night. But they do deal in a rich currency that is just as valuable and is freely exchanged via the banter between the presenter and the panelists that continues into the smaller, individual break-out groups that take place the same evening. These smaller groups are meant to serve a host of objectives. First, after the presentations have wrapped, audience members can follow the idea they connected with through a special facilitation session to be provided by Visual Hero, a problem-solving design firm. 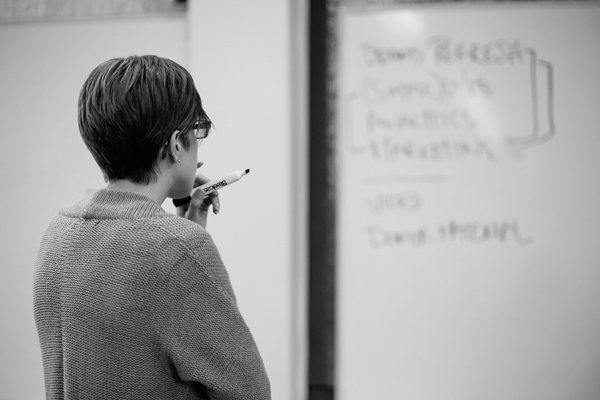 Secondly, if you're an audience member who has connected with an idea, these break-out sessions are where you can lend your knowledge within this critical design-thinking framework. If you ever doubted the power of design, then the proximity of the Design Briefs debut event within the museum provides historical lessons in the way of encouragement. 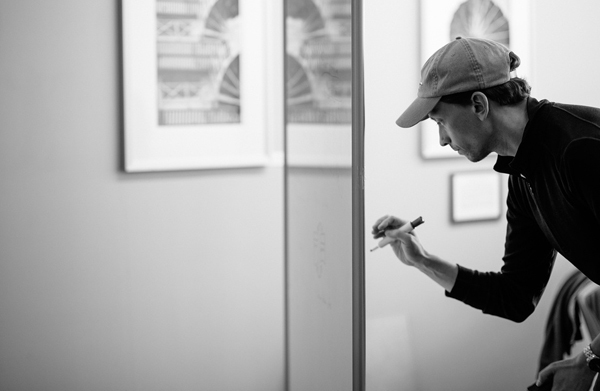 "Design influences so much of our world and not just of the business realm," says Koen. 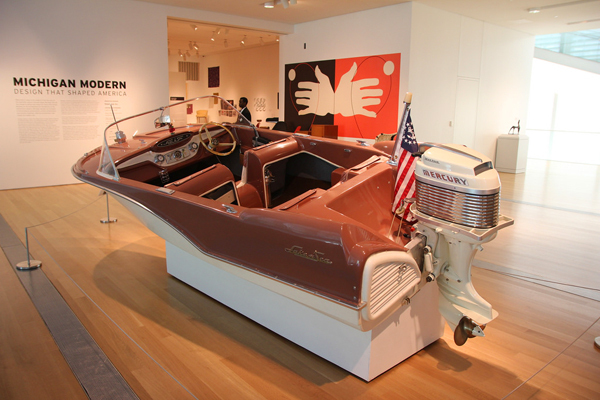 "The very placement of this event at the GRAM as we are celebrating Michigan Modern: Design That Shaped America – an exhibition showcasing the very brands of our state that still create impact today -- is a fine example of how vital design is. What we see at the GRAM are time-tested, carefully designed items that are solid and have lasted." The way design has worked into the entrepreneurial and startup process in the past is that, when it comes to the creative integration stage for the entrepreneur, an individual might be well versed in business but lacking creative vision to bend the idea in new directions. This individual often falls victim to the "I-have-a-buddy-who-can-design-something-for-you" syndrome. While there may not be an inspirational business poster that warns entrepreneurs of the dangers of these shortcuts, if you do happen to see a kid wearing a "Bad Design Kills Ideas" t-shirt, then you know I finally cracked that code. It really is critically important for a new idea to be surrounded by an individual or team devoted to the art of creative thinking – before the idea goes to market. This event will be a great opportunity to showcase the ideas and facilitators as well as an opportunity for the creative community and the business community to come together. Through mutual respect, they can begin to form new relationships that will hopefully give good ideas a chance to soar on the wings of good design. 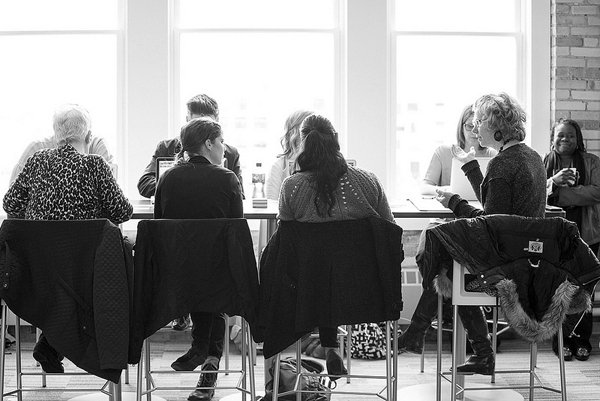 As Design Briefs debuts in our region, it will be the start of something remarkable. It's a new kind of project, not hitched to awarding prize money but adding something just as valuable: creative investment in an idea. From there it will be up to the presenters to decide how to integrate the advice of the night. "We hope that Design Briefs will not only connect within our region as we debut this new Design for Good series," says Koen, "but we hope it moves the community groups into new partnerships where they can fail fast as needed and then get back up and begin again." Designers, entrepreneurs, idea people and harbingers of design: a new ecosystem awaits your talent. Are you ready to begin again and again if that is what it takes to break through to something new? Events To Consider: For a list of four really fun and lively events that celebrate our region's cultural offerings covering a wide degree of tastes and summer pleasures, please visit G-Sync Events: Let's Do This! Editor's Note: If after attending the first hour pitch presentation an attendee feels no connection to the ideas and wishes simply to tour the Michigan Modern Exhibition, the GRAM will host two tours that will continue on into the night (and on repeat) so that you can get a special behind-the-scenes, design-focused look at the exhibition. How do you create an innovation that delivers enduring value? Examine Eames' works in the galleries and discuss their creative and collaborative processes. Learn how consumer insights shaped a new way of thinking about automobile design. Discover how a specially assembled collaborative team worked together to address the needs of their target market. AIGA West Michigan's Design Briefs debut is made possible through the partnership support with the Grand Rapids Art Museum, Herman Miller, WorkSquared, GR Current, Visual Hero, and the numerous volunteers of these organizations that have labored long hours to bring such a stellar and educational debut. Tickets range from $5 - $10. All images this week are from AIGA WM's Design for Good except the install shot from the Michigan Modern exhibtion, which is courtesy of the Grand Rapids Art Museum.